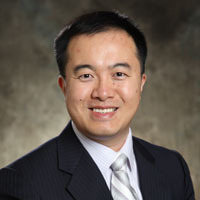 Feng Chen is an Associate Professor of Accounting in the Department of Management at the University of Toronto Mississauga, with a cross-appointment to the Accounting area at the Rotman School of Management. He obtained his Ph.D. in Accounting from Columbia Business School in 2008. His research interests involve corporate disclosure and financial reporting, auditing, corporate governance, and international accounting. He has published in premier journals including Contemporary Accounting Research, Journal of Accounting Research, Review of Accounting Studies, and The Accounting Review. His research has been cited by the International Accounting Standards Board. Feng Chen is a Chartered Professional Accountant (CPA, CGA). His teaching interests are in financial accounting, managerial accounting, and financial statement analysis. He has extensive teaching experience from Columbia, Rutgers, University of Missouri, and University of Toronto.